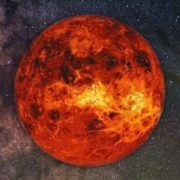 Venus is the second planet from the Sun. It was named for the Roman goddess of love and beauty. 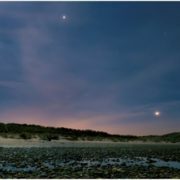 It sometimes appears in the sky as the evening or morning star. 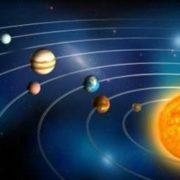 Its distance from the sun averages about 108 million kilometers and it is the hottest planet in the solar system despite the fact that it is much farther from the Sun than Mercury. 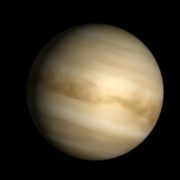 This planet is covered by thick layers of clouds that do not allow much sunlight to reach the planet’s surface. 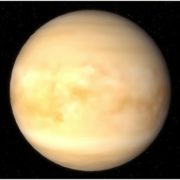 The temperature on the Venusian surface reaches about 464° C.
Venus is close to Earth in size. 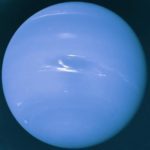 Its physical diameter is 12,104 km, making the planet about 95% the size of Earth. 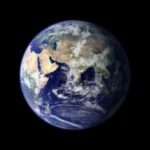 Its mass is equivalent to 82% that of Earth’s. 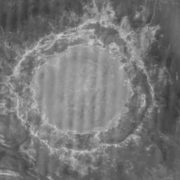 The surface of Venus is marked with hundreds of large meteor craters. It has tall mountains. 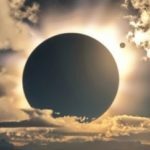 The planet hasn’t got a moon. 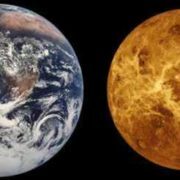 One year on Venus lasts 225 Earth days and a day lasts about 117 Earth days. 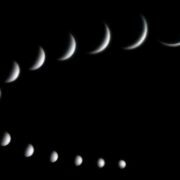 As it circles the Sun, Venus shows phases just like the Moon, and the planet Mercury. 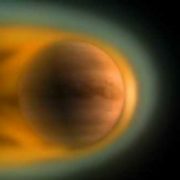 The phase changes of Venus were first recorded by Galileo Galilei in 1610. 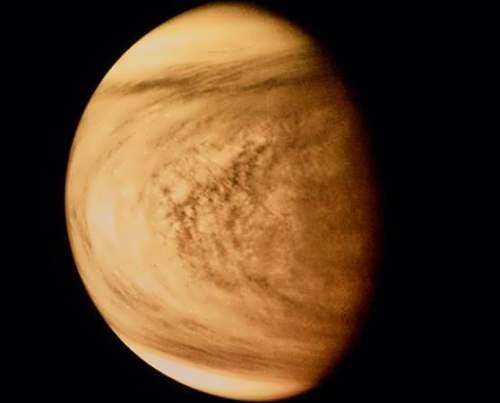 In 1962 the U.S. Mariner 2 spacecraft passed by Venus. 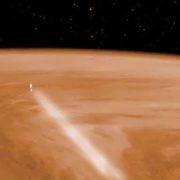 It was the first spacecraft to fly near another planet. 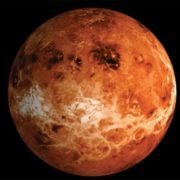 In 1970 the Soviet Union’s Venera 7 landed on Venus. 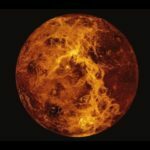 In the 1990s the U.S. Magellan spacecraft mapped Venus’ surface in great detail. 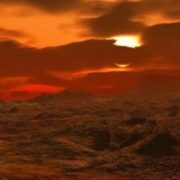 Venus is “only” 500 million years old. 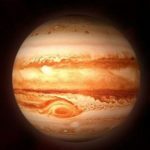 It is a planet of thunderstorms. 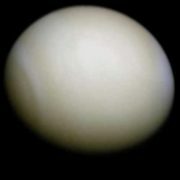 Zinc, lead and even diamond can be dissolved in the Venus atmosphere. 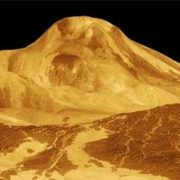 The highest mountains on Venus reach 11.3 kilometers. There are thousands of volcanoes. 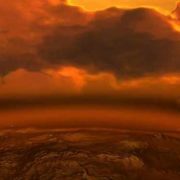 The main component of the Venus’s atmosphere is carbon dioxide. Almost all the planet’s geological features are composed from lava. 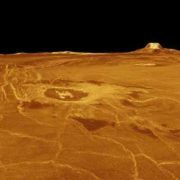 Venusian lava cools very slowly because of the high temperatures. 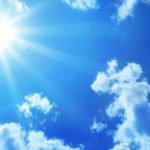 There are no seasons on the planet.